Forest Farm Peace Garden is recruiting! 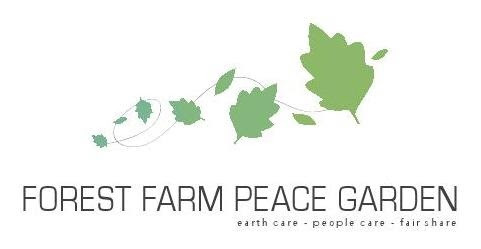 We are looking for two individuals to join the Forest Farm Peace Garden Team who can inject outstanding ideas, experience and enthusiasm into the development of the project. The role of the Project Coordinator is to oversee and lead the development and day-to-day running of Forest Farm Peace Garden. We are looking for someone who is passionate about local food, health and wellbeing, and building an empowering and diverse community. The many responsibilities of the role of Project Coordinator means that your days will vary greatly. During a typical week you would attend local Council meetings, muck in at the Garden, organise events and trainings, produce material for the website and bulletins and manage the organisation’s budget. If you are a hard worker who combines big-picture visioning with a hands-on approach to the running of a charity, this job could be perfect for you! Our therapeutic gardening programme has transformed the lives of many people, and we are looking for someone with enthusiasm, ideas and commitment, and a background in mental health support and food growing, to join the project and take it to the next level. The Ecotherapy Worker is in the Garden 2 days each week, working with volunteers and coordinating our supported volunteering programme. You will liaise with referrers and mental health care providers, recruit and train volunteers for our “Buddy” programme, and provide ongoing support and supervision to volunteers. Both positions are a one year contract with a possibility of renewal , and are subject to a probation period of three months. The start date for both positions is early January 2015. These positions are generously funded by the Big Lottery Reaching Communities fund, the Henry Smith Charity, the London Borough of Redbridge, the Comic Relief Dispossessed Fund, and the City Bridget Trust.